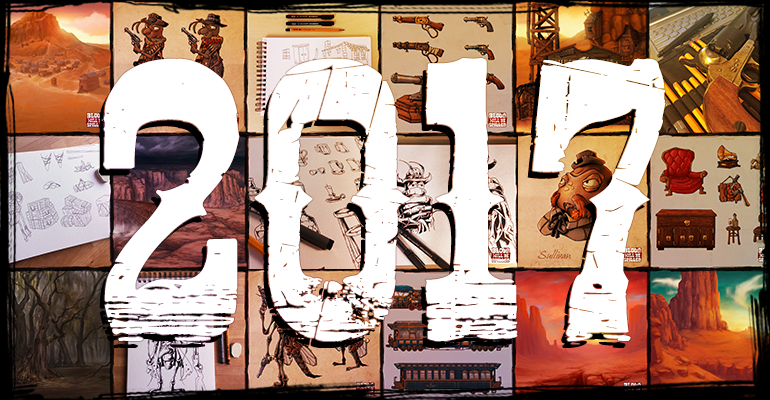 It’s been almost a full year since our last blog post and even that one was a retrospective of 2016. While writing blog posts have never been my strongest suit, or something that I would immensely enjoy, it wasn’t laziness, or lack of motivation that prevented me from writing anything. The true reason behind this was that the year of 2017 (as it usually happens) brought with it a few rather unexpected events, which usually demanded our whole attention. Below, I would like to talk about the ones that were the most important and most interesting. For quite some time we weren’t really happy with our combat mechanic as it didn’t seem to have the feeling we were looking for. But seeing that something isn’t good is the easy part, it’s harder to understand, what are the reasons exactly. We tried lot of stuff – working on AI, reworking the aiming, adding more mobility options (you might remember that I mentioned all of those in the list of our achievements of 2016), always thinking that this new thing might be the silver bullet that will make the combat to finally click. But it didn’t really happen. Then we realised that it probably wasn’t about not having enough options that would make the combat interesting, but rather about having too many of them. We demanded too much from the player resulting in gunfights becoming really chaotic and not fun. 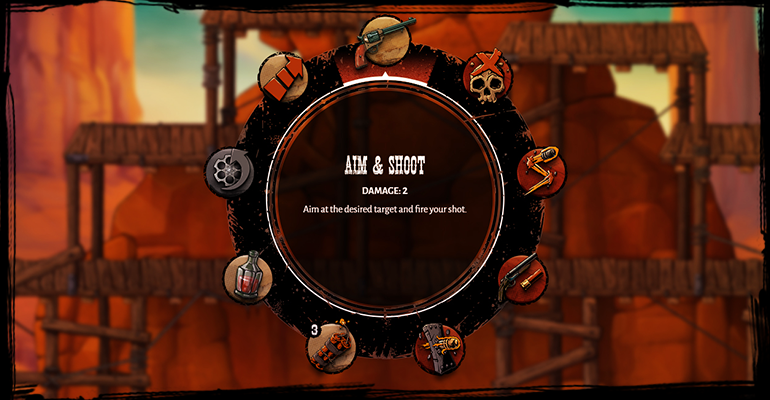 We didn’t want to part with mechanics like precise aiming, covers or having just six bullets in your weapon, as we think those are really important for the proper western feeling. So, we decided to do something that every one of us on the team thought of at some point, but always dismissed it as a stupid idea – we made the combat turn based. 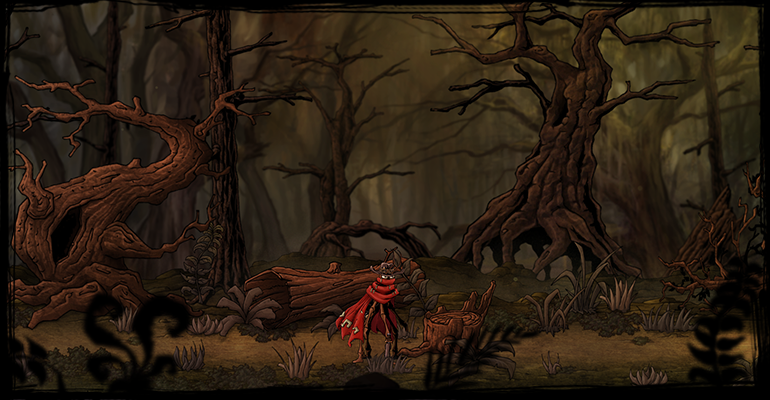 This proved to be harder than we initially thought, but we feel that it solved a lot of problems we had with the combat and we are quite happy with it. It’s still not polished enough for us to show you and there are still quite a few things that need to be properly tested and developed further, but it’s coming along nicely. At the start of 2017, for the first time ever, Slovak Arts Council established a funding grant for independent video games and called for submissions. As money is always among the biggest problems in indie game development, we didn’t have to think twice before applying. Preparing all the necessary documentation, paperwork and a working build took us almost a full month. The indie scene in Slovakia is still developing and there aren’t that many projects as in other countries, but still, there were more projects than money available, so we knew that we need to convince the jury that we deserve their trust (and…um, money). After the submission in March we were checking our inbox nervously for more than a month. 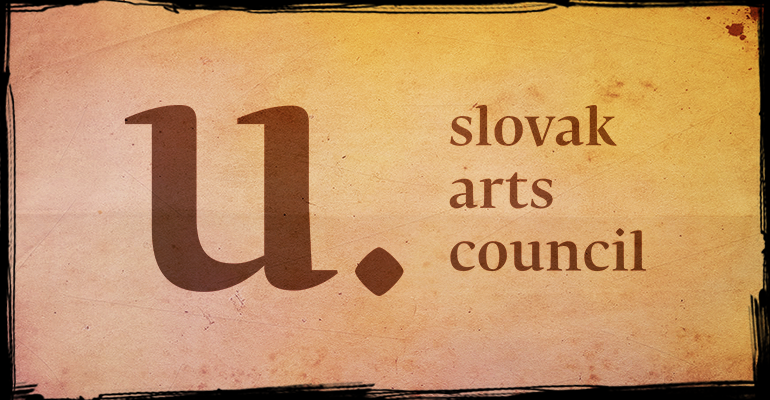 All of us were thinking a lot about what we’ll do if we won’t be chosen for the grant, but finally at the beginning of May, we learned that we were in fact among the lucky few who received the grant from the Slovak Arts Council. While this is great news for the project and one of the best things that happened during the whole development, it is not “for free.” The condition upon which we received the grant is, that we will have a beta version of the game ready by the end of May 2018. So, no pressure there. 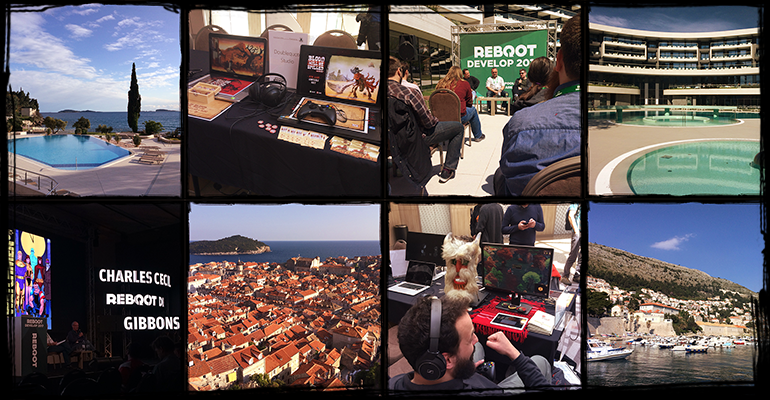 In late April, we went to a fantastic conference Reboot Develop in Dubrovnik, which was probably the closest thing to a vacation that we got. 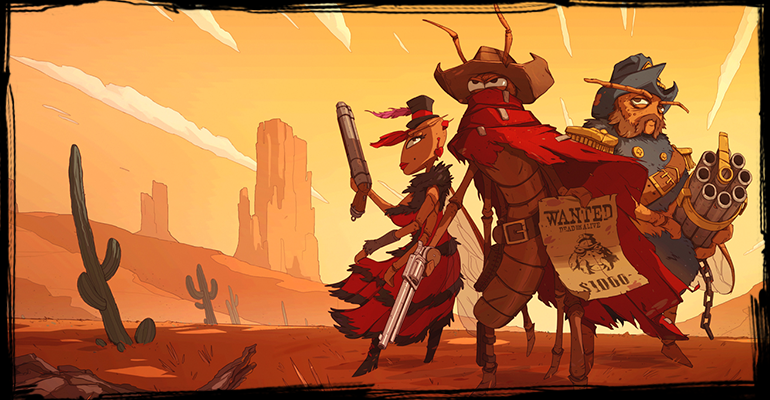 We also planned to showcase our game there, but it wasn’t exactly the best timing for us, as we were in the middle of the submission process for the grant money and our dissatisfaction with our combat reached its peak at that time. Nevertheless, it was an amazing experience, we met a lot of great people, got the opportunity to try some great indie games and learned some really valuable lessons. We can’t wait to this year’s Reboot and this time, our whole team will be there, which we’re really happy about. 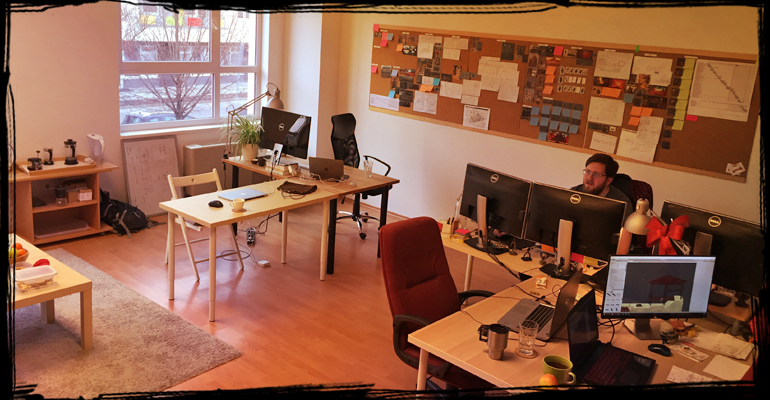 In May, we moved to a great new office, together with our dear friends from the company Luducrafts. I can’t begin to explain how great it is to have windows big enough that you can actually see what time of day it is and enough space that all of us can finally sit in the same room at the same time. In December, our team got a little bigger once again as we brought on board a new programmer – Kristián Balaj, who will be helping us mostly with UI and other visuals related stuff. During the second half of 2017, we were working on the game, both feature and asset wise, which was the main reason for the lack of blog posts – it seemed that our focus is needed elsewhere. However, it needs to be said that the Sword of Damocles in a form of a harsh deadline is a hell of a motivator and never in the history of this project have we made so much progress in such time frame. That being said, there is still a lot to be done and time isn’t exactly generous, so I would end my ramblings here. As there will be even less time for everything than it was last year, I don’t think that there will be any new blogpost for a while. But, if you want to follow our progress, our twitter and instagram are probably the best place, as we post there rather frequently. So, happy new year everyone, let’s hope that it will be an awesome one.